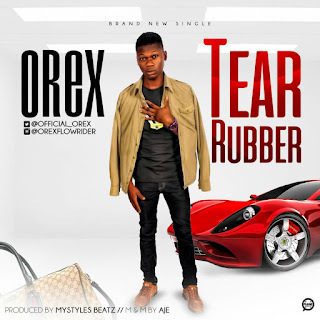 Nigerian hitmaker Orex is out with a brand new single dubbed ‘Tear Rubber’ on this Mystyles Beatz laced beat. The Single is Mixed and Mastered by Aje On d Mix. Tear Rubber n is a song that will get you dancing when the tune comes on. Should we say Tear Rubber is just a Track or a Record ?